With Easter just around the corner, here is a little edible gift recipe to share. A paper cup or any cylindrical object for the wreath to be shaped around. Melt chocolate by using a double boiler. 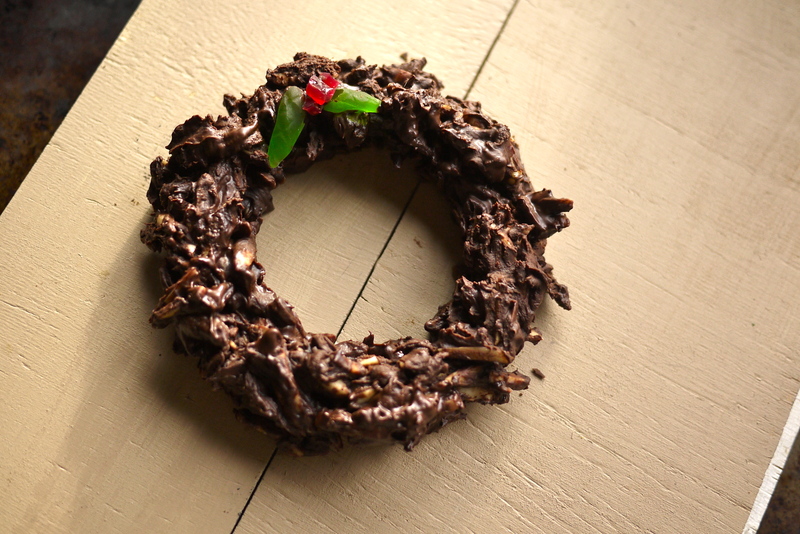 Stir in almonds in melted chocolate until evenly coated. Line parchment paper on a hard mobile surface (a large plate or baking tray works well) with the paper cup centred. Cut gummy candy to form the shape of a holly. Gently drop spoonful of the almond and chocolate mixture onto the parchment paper around a paper cup. 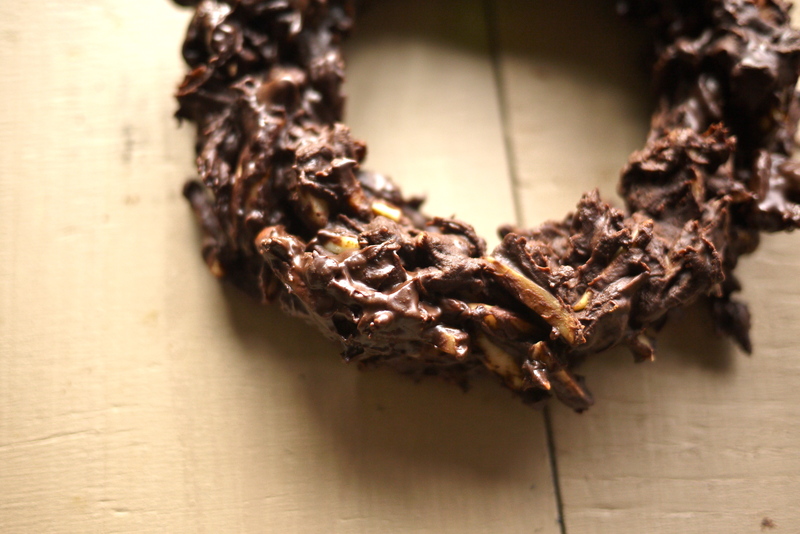 Repeat until a wreath is formed and place decorations to suit. Leave it to set or refrigerate until solid. 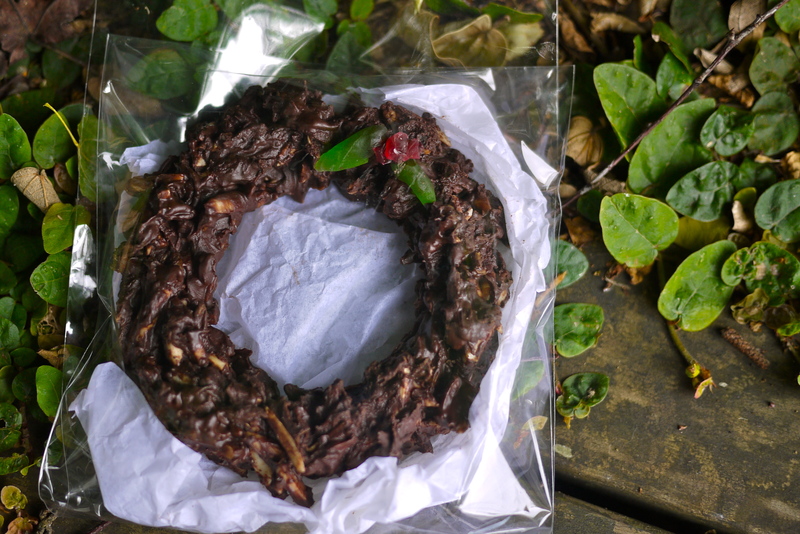 Chocolate clusters can be refrigerated in an airtight container up to 2 months. This is brilliant! Would make such a lovely edible gift!